The Cornish Coast Murder (Paperback) | Eagle Harbor Book Co.
Never, even in his most optimistic moments, had he visualised a scene of this naturehimself in one arm-chair, a police officer in another, and between them . . . a mystery. So thinks the Reverend Doddvicar of the quiet Cornish village of Boscawen and a reader of detective novelswhen an actual mystery unexpectedly lands on his doorstep in "The Cornish Coast Murder." Julius Tregarthan, a secretive and ill-tempered magistrate, is found at his house in Boscawen, shot through the headand the local police investigator is baffled by the complete absence of clues. Fortunately for the inspector, the Reverend Dodd is at hand, ready to put his lifetime of vicarious detecting experience to the test. 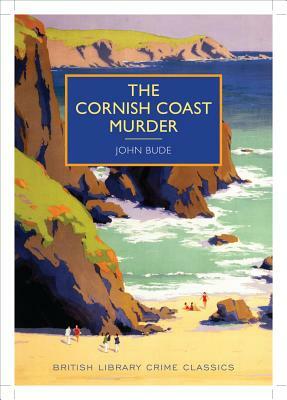 This newest installment in the British Library Crime Classics series takes readers to Cornwall for a perfect example of the cozy mystery, sure to charm all fans of the genre. John Bude was the pseudonym of Ernest Elmore (190157), who wrote thirty crime novels, all of which are now very rare. He was cofounder of the Crime Writers Association and worked in the theater as a producer and director."